SANITT is the leading manufacturer, exporter and supplier of Sterile Garment Storage Cabinet which is used for store Sterile Garments after Autoclave under clean air & Ultra-violet Light to avoid Air Contamination. This Sterile Garment Storage Cabinet is safe and ensures that the garments are completely free from bacterial contamination. Sterile Garment Storage Cabinet manufactured by using best quality raw materials such as Stainless Steel 304/316 quality with double skin body and pencil coving inside. 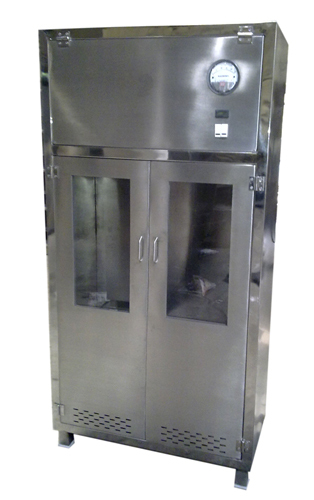 This Sterile Garment Storage Cabinet machine is available in various custom-made sizes. 1. 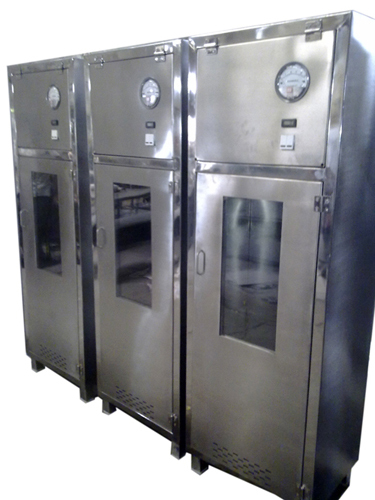 Sterile Garment Cabinet used to store Sterile Garments after Autoclave under clean air & Ultra-violet Light to avoid Air Contamination. 2. Material: Stainless Steel 304/316 quality with double skin body and pencil coving inside.